Keep your eyes open, your ears to the ground, weigh your options well and carefully. If you’re in the market for a medical aid scheme for the first time, or if you’re considering switching to another because you’ve become dissatisfied with the scheme you’ve been a member of until now, the first thing you’ll notice is the number of choices you have. There are numerous medical aid schemes in South Africa, and all of them appear similar, don’t they? So you think: it doesn’t really matter which one I choose – all medical aid schemes are basically equal, right? Keep your eyes open, your ears to the ground, weigh your options well and carefully compare the benefits; some so-called medical aid schemes are little more than chancers, and while they profess to be able to offer you the lowest rates and have your best interests at heart, when it comes to the crunch and you need their assistance, you’ll end up with a host of fine-print exclusions and no help at all. Before you sign up and start paying your monthly premium, make sure you know exactly what you’re getting for your hard-earned money – no matter how affordable the rates appear to be, or how comprehensive the cover seems to be, at first glance. MEDSHIELD, for example, has been caring for South African citizens since 1968. It’s one of the largest, most trusted and well-established medical aid schemes in the country. The company currently covers close to 200 000 lives and it’s able to offer preferential rates to its members through strategic partnership networks. The company has received an AA-Global Credit rating for the sixth consecutive year – a rating that’s testament to its claim-paying ability. MEDSHIELD is also well-represented throughout all nine provinces and the staff at its contact centre will ensure you have a hassle-free experience. Furthermore, at MEDSHIELD you’re guaranteed to find a healthcare option that meets your specific personal requirements. The scheme focuses on providing quality, affordable healthcare products enhanced with additional benefits to ensure you’re getting good value for your money. The company’s wellness benefit offers a number of tests, curbing your healthcare expenditure through preventative healthcare. Let’s face it – healthcare is expensive, but don’t let it cost you more than you can afford, and possibly bankrupt you in the long run. It’s better to have the assurance of comprehensive healthcare – and to have it in place before disaster strikes. The better medical aid schemes will reimburse you for a large portion of your healthcare costs as they arise, so they make the task of caring for your health and the health of your family more affordable. Most will pay their portion of costs directly to the hospital or doctor instead of requiring you to pay and reimbursing you at a later date. While the cost of insurance premiums may seem high, the cost of treating an unforeseen illness or injury will likely be a lot higher. Too many people take the need for medical aid too lightly; bear in mind the longer you wait to become a first-time member, the more you may be forced to pay for your monthly premium over the age of 35. Having medical aid coverage is not only important for your physical wellbeing, it’s important for your financial health. Be sure to take all your healthcare needs into account and take a long, hard look at what’s available before you make your choice. If you’re uncertain, ask; a representative will be more than willing to answer any questions you may have. 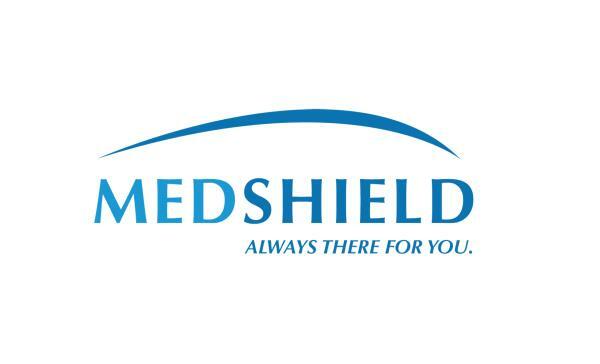 Remember: MEDSHIELD is always there for you.